Not enough time in one day? Meals are not what you want it to be? 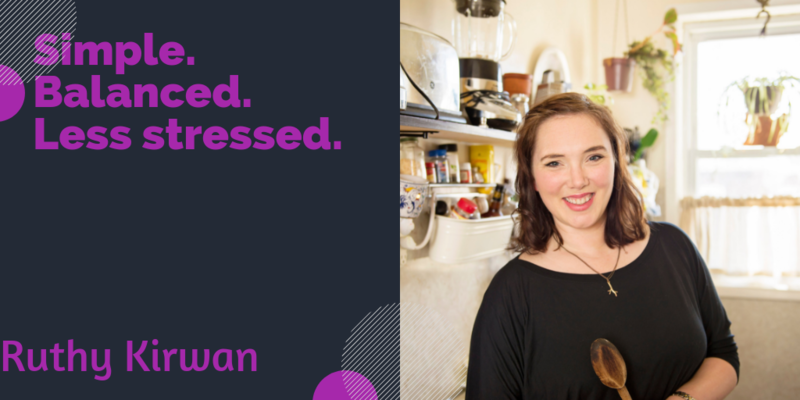 Ruthy Kirwan is a cooking class instructor, meal planning coach, and tired head mama over at PercolateKitchen.com, where she shares simple ideas and strategies that help busy, working parents feel less rushed and stressed during weeknights at home. She helps busy parents, mostly working moms, figure out systems and routines that make their weeknights at home a lot less overwhelmed and stressful, so they can enjoy the time with their families instead of rushing around. Ruthy lives in New York City and has a degree in culinary arts, by day and works as the cooking educator for a local preschool. Kimberley Wiggins on Episode #28: Kimberley Wiggins: Having It All or Not?